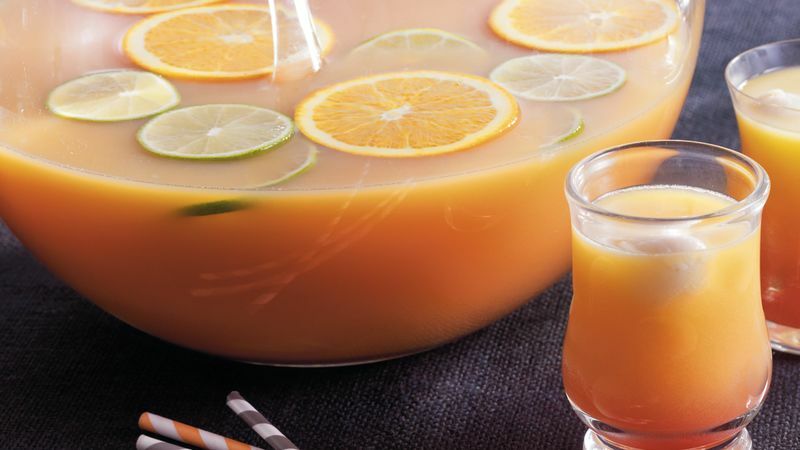 In large punch bowl, mix juice, lychees and lime and orange slices. Just before serving, stir in ginger ale; drizzle with grenadine syrup. Grenadine syrup can be found in the wine section of most supermarkets.